Written & Media by Caleb Miles. 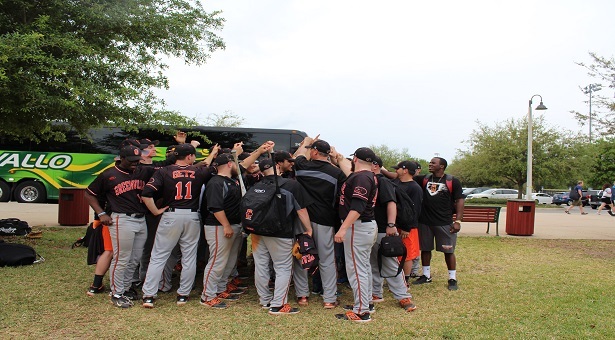 Panther baseball found some success in Florida during their spring break trip which took place between March thirteenth and eighteenth, playing seven varsity games and one junior varsity game. 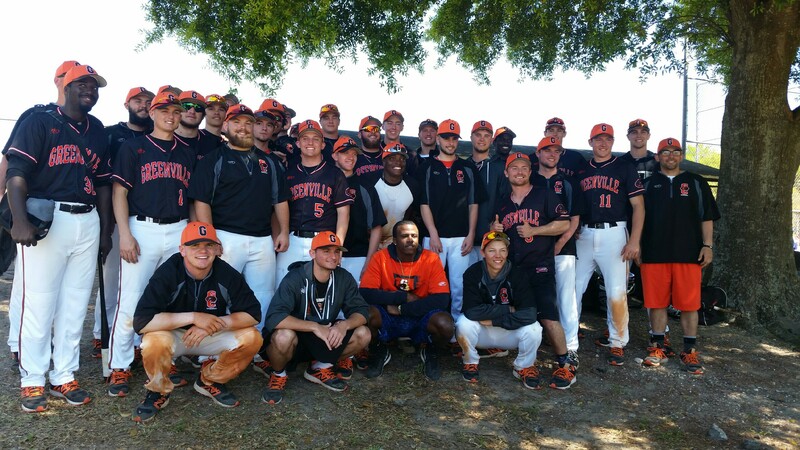 The Panthers played at Lake Myrtle Park, Lake Sumter State College, and Chain of Lakes Park. Varsity Panthers posted 5-2 record while the JV team won their only game down south. The first day featured a doubleheader (two seven inning games) between the Panthers and Fitchburg State where the Panthers’ pitching staff tossed the first two shutouts of the season. Sophomore Jonah Moore took the mound in game one and dominated the Falcons. Moore threw six innings of shutout ball allowing four hits, two walks, and striking out two. Freshman Klaiton Wolff came in for the seventh inning to strike out two and earn his third save on the season. Moore is now 3-0 on the season. The Panthers offense scored their two runs of the game on RBIs by Sophomore Adam Lamb and Freshman Logan Murphy ending the game at 2-0 in favor of the Panthers. For the second game, Senior Phil Reedy took the mound and tossed a complete game shutout allowing four hits, five walks, and striking down three. The offensive side got going in this game and posted seven runs on ten hits. Senior outfielder Mike Hardin went two for three at the plate with a triple and three RBIs for the Panthers as they cruised to a 7-0 victory against Fitchburg. Day two consisted of a Varsity game against SUNY Plattsburgh and a JV game against Gordon. Lamb took the mound against Plattsburgh. The Panthers allowed three runs in the bottom of the first but answered right back with a five spot in the top of the second, and a four spot in the top of the fifth to cruise to an 11-5 victory giving Lamb his first win of the season. Lamb threw eight innings giving up seven hits, three runs with only one earned, walking one, and striking out two. The Panthers scored their runs on eleven hits and five errors posted by Plattsburgh. The JV team won their game against Gordon as well. After a day off on Wednesday, the Panthers returned to action on Thursday to face Trine in a doubleheader. This was a long day of baseball for both teams with each game ending in an extra inning walk-off victory. The first game was a back and forth battle until Trine went up 8-4 in the top of the seventh with only one at-bat left for Greenville. Junior catcher Travis Ralls started off the inning with a solo shot to left field bringing the Panthers to within three. A few base-hits later and the Panthers now found themselves tied with Trine after posting a four-run bottom of the seventh inning. After a shutdown top half of the inning, the Panthers came to the plate and had the first two batters retired. Hardin came to the plate in what seemed to be every players dream situation: two outs, full count, and chance to win the game. Hardin got exactly what he was looking for and hit a moonshot over the left field wall to end the game in walk-off fashion with a score of 9-8. The second game was much of the same excitement with back and forth action but ultimately ending in the tenth inning at 8-7 giving the Panthers their first loss in Florida. The Panthers tried to bounce back on Friday against Benedictine. 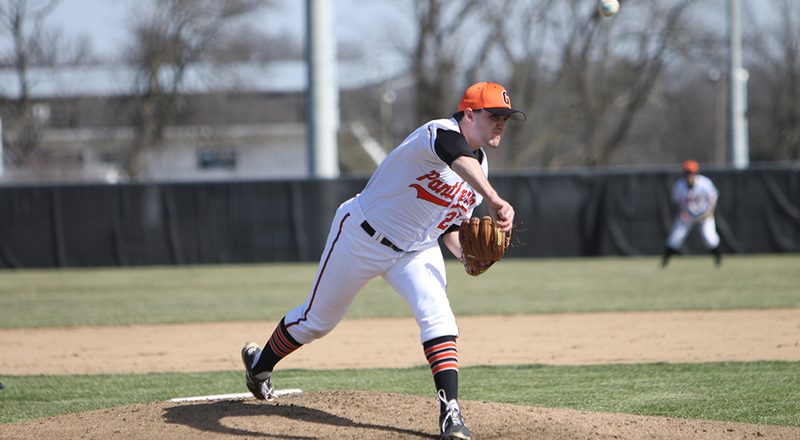 Junior Austin Marsh started the game on the mound, giving up two runs in the first but eventually found a groove and settled in to give his offense a chance to claw back but the team fell to a 4-1 deficit and could not come back. For the final day of the trip the Panthers faced off in a nine-inning game against Knox College. The Panthers offense struggled to get things going early in the game. By the top of the ninth the score was 8-3 in favor of Knox and the Panthers were looking at what was sure to be another notch in the loss column. The offense exploded out of the gate in the bottom half of the ninth scoring runs on a double by Jesse Getz, single from Lamb, and a two RBI single from Hardin. The Panthers came to within one run and put a ton of pressure on the Knox pitcher. Apparently this pressure was too much for him to handle as he threw back to back wild pitches allowing the Panthers to walk it off after a six run ninth inning winning the game 9-8! The Panthers open up conference play this Friday with a trip to GCS Ballpark to face off against the Gorloks of Webster University with first pitch of the doubleheader at noon. Be sure to follow the Panthers on Twitter for live tweets and news, and check out the website for news, scores, and schedules.